Brexit has created layers of crisis even worse than opponents like myself predicted. Amid this, the case for Irish nationalism is being made more effectively by the actions of the DUP than by the politics of Sinn Fein, suggests former Northern Ireland Secretary Chris Patten. Meanwhile, three UK Government ministers have warned that a "no-deal" Brexit could lead to a border poll under the terms of the Good Friday Agreement. Former Taoiseach Bertie Ahern has predicted the same, not least because people in Northern Ireland will see this as the route to continued EU membership. The question is now more about "when", rather than "if". Even former First Minister Peter Robinson has cautioned unionists to get ready and prepare for a referendum. And Theresa May has warned that as and when the vote takes place, it is by no means certain that unionists will win. The combination of Brexit plus demographics has changed the political context. 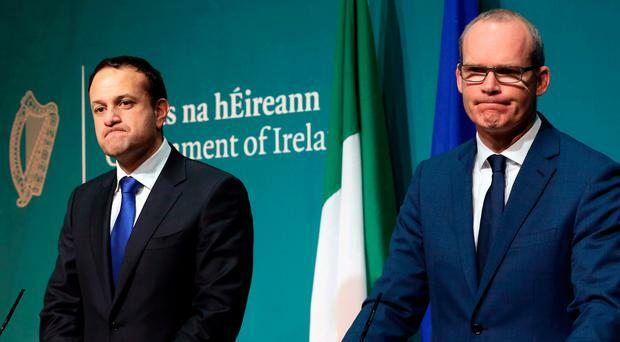 Ireland's government won praise for its anticipation of the Brexit referendum vote by doing the preparations for a Leave vote that the UK notably failed to do. Now the onus is on Dublin to prove that it is capable of continued strategic political management and that the Brexit planning was not just a one-off. In short, Ireland needs to prepare for a border poll. Perhaps former SDLP leader Mark Durkan's role as a Fine Gael candidate in Dublin for the European Parliament will hasten the process. A "new Ireland" will have to mean more than just bolting Northern Ireland onto the existing Republic. Such a settlement would be unacceptable to unionists. But it would also fail to address the weaknesses and failings of the south - in particular, those around healthcare and housing policy. A new beginning represents an opportunity to bring together the best of both jurisdictions and lose the worst. Preparations will need to consider a variety of factors. These include the extent to which the existing Irish Republic becomes the basis for a new state, which protects and promotes the interests of people who have previously regarded themselves as unionists. In practice, this means that aspects of how Ireland currently operates need to change - moving to an integrated all-island healthcare service, free at the point of delivery, is the demand most often heard in Northern Ireland. This fits neatly with Ireland's SlainteCare programme. The economy is where the difference between the two jurisdictions is most pronounced. While the Republic has a fundamentally strong economy, Northern Ireland has a fundamentally weak one. That reality is reflected in the fiscal deficit in Northern Ireland, which is filled by an annual subvention calculated officially at more than £9bn a year, or by the Nevin Economic Research Institute at around half that once non-Northern Ireland costs (such as debt interest and the armed forces) are removed. Ireland's economic policies need to be copied in the north: availing not just of a competitive corporation tax rate, but, more importantly, by investing in the transport and communications infrastructure of the northern and western parts of this island. There needs to be a strong commitment to building the skills-base in Northern Ireland, at school, vocational and higher education levels. Restructuring the constitution, the economy and the healthcare system cannot be done overnight. So, the task for the Dublin government is not merely to plan for how the referendums will be conducted and who will be entitled to vote, but also to produce a blueprint for how a vote for reunification could be implemented. Perhaps most important of all, the failings of the Brexit referendum need to be considered. Voters must be clear on what they are voting for, how that result would be implemented and what the ultimate objective is. It is necessary for the Dublin government, as co-guarantor of the Good Friday Agreement, to take a leading role in suggesting clear and detailed answers to these questions. None of these aspects of planning can be done overnight. The signs are that, at present, neither Dublin nor London is giving much consideration to any of it. Yet recent history - as illustrated by Brexit, German reunification and the disintegration of the Soviet Union and Yugoslavia - demonstrates how quickly major political and constitutional change can happen. Key concerns that must be addressed include the principles of an all-island (improved) healthcare system, a functioning economy that benefits everyone, how to attract external investment (including from the European Investment Bank) into infrastructure improvement and the early convening of a forum for an all-island Bill of Rights. Now would be the right time to establish a Dail committee on how to improve cross-border co-operation and review the extent to which the principles of the Good Friday Agreement have so far been implemented. There is a growing respect across the UK for the Republic's use of citizens' assemblies to address complex political problems. It would be helpful to convene - in both Northern Ireland and the Republic - citizens' assemblies to consider what question, or questions, might be put to the electorate in the referendums. That does not mean that the referendums would take place immediately. Rather (borrowing the Brexit language of Michel Barnier) that it would be easier to "de-dramatise" the politics when a referendum is still probably some time away. Citizens' assemblies might also consider how best to produce linkages with the UK that are attractive to unionists, which might include membership of the Commonwealth, or new federation-type arrangements. Consideration needs to be given to future governance arrangements, in particular the role of Stormont and whether Ireland should become a federated state, with devolved government also in the other three provinces. Other action needs to be taken on matters that relate to political identity, building on the work in the Republic of Mr Justice Richard Humphreys, including presidential votes for Irish citizens in Northern Ireland, votes for Irish citizens in Northern Ireland for a reformed Seanad, representation of Northern Ireland in the Dail and the right of people born in Ireland to opt for British nationality. These steps could form the core of a plan led by the Irish government to provide a route to a "new Ireland" and assist the people of this island to move towards a united, peaceful and prosperous single nation. But once the challenges towards achieving this are spelt out, it becomes clear both the scale of the task ahead and the reality that it can only be successfully undertaken with planning and time. Reforming the healthcare system of both jurisdictions and mending the weak economy of the north is the work of a decade, or more, not the result of a back-of-the-envelope scribble. Yet, at present, neither London nor Dublin appears to have any strategy for dealing with a demand that is growing in strength almost daily.